If you think you have the tools to manage the software and hardware infrastructure of a company’s computer systems, then we can help you prepare the Network System Administrator resume to secure the job. No, you’ve come to the right place! Network administrators are also referred to as system administrators. Regardless of the terminology used, both designations have the same job description. Do you want to land this job that pays out from $50,000 to $85,000 per year? You need a Network Administrator resume that outlines and details all the key qualifications companies are looking for. While you might be good at making heads or tails of network connectivity, resume making may be outside your comfort zone. Worry not because we have prepared a comprehensive Network Administrator resume sample that includes write-ups on the following sections. This job is in high demand! Let’s put it this way. In 2008 alone, there were 500 million job openings in the United States alone that required network administration. Since 2014, mobile technology has become more influential in the way businesses and consumers run their day-to-day activities. This only means networks are in a constant state of change and will need good system administrators to keep frameworks and processes updated. Master of Science in Information Technology and certified in Microsoft, Cisco and Sun Microsystems with 5 years experience as a Network Administrator; I am looking to build a career managing the systems and networks of Prime Technology Incorporated. I am confident my technical and fundamental competencies combined with the ideal attributes: Analytical, Critical Thinker, Team Oriented, and Excellent Communicator are a perfect fit for your company. Master of Science; Information Technology. Bachelor’s Degree; Applied Science in Information Systems Management. Certified in Microsoft, Cisco and Sun Microsystems. Supports and manages LANs, WANs, Internet and Intranet systems. Conducts regular audits to ensure all frameworks and processes that have been integrated into the system are working properly, efficiently and in accordance with the goals, objectives and standards of First Bank of Indianapolis. Presides over analysis and needs planning, budgeting for IT and other business units. Updates and monitors security systems of network infrastructure. Designs and implements data integrity measures as well as daily system backups. Collaborates with software application developers and liaisons with software vendors on matters related to product development, program updates and migration of changes from testing to the implementation stage. Maintains data security and ensures integrity, protection of all client information. Orients business units and other application users on changes in network configurations. Ensured working and operational efficiency of Pinnacle Technologies’ LAN, WAN and Internet, Intranet systems. Implemented all necessary measures whenever pre-defined security measures and thresholds were breached. Conducted regular performance audits to make sure systems are working in accordance with company-prescribed benchmarks. Part of 24/7 support team; rotated with other team members to address concerns and issues cascaded by customers from different time zones. Assisted other team members in providing next level Help Desk support. Scheduled and presided over team meetings. Provided training and consultation on network administration for new and less experienced team members. Managed network connectivity of Sun Valley and ensured its LAN/WAN infrastructure was operating according to prescribed best practices and technical standards. Ensured stability and security of network by regularly monitoring systems, trouble-shooting potential problems and cascading software issues to vendors for immediate resolution. Developed network access protocols and tasked to maintain documentation to tightly secure all systems. Installed, maintained, supported and updated all Microsoft Windows operating systems for all workstations and servers within a specific network. Installed and configured all VPN solutions for wireless devices, laptops, desktops and networked printers. Your Network Administrator resume skills list should highlight all of your technical proficiencies in information systems management and certifications to validate your level of qualification. In our Network Administrator resume sample, you can see that the candidate Samuel positioned his hard skills in key sections: Objective, Strengths, Education and Certifications. Then he went into great detail describing his set of tasks and responsibilities from each employer in his work experience. Even when there were similarities in tasks, he made sure he differentiated them just enough to distinguish how his skills were applied from one industry to another. Education. Some companies will accept candidates with an Associate Degree in Information Systems Management, but they will always be at a disadvantage versus those with a Bachelor Degree in the same or related course. Employers prefer candidates with a good foundation on the fundamentals and theoretical frameworks of Information Technology. Many are willing to pay top dollar for those with a Master’s Degree in Information Technology. Certifications. There are no licensing exams for Networking Administration and certifications are not required. However the more you can prove your level of proficiency, the greater the chances of getting hired. In demand programs for Network Administration include CISCO, Microsoft, Novell and Linux. Critical Thinking. Data breaches happen everyday. According to credit reporting company Equifax, stolen customer information can affect more than 143 million Americans. In times such as these, you have to be able to think through pressure, high-stake situations and find solutions. Analytical. Information Technology is a discipline that often requires continuous testing of processes, frameworks and systems. You have to be able to identify potential problem areas and implement courses of action when necessary. Team Oriented. System Administrators cannot work on their own. They need to have a team with them to make sure the network stays secure. Having excellent communication skills; the ability to listen, articulate and relay instructions and encourage productive feedback are important to have an effective and cohesive team. 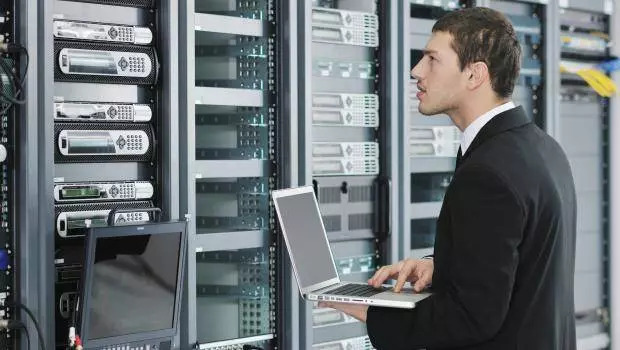 As a Network Administrator, you must conscientiously work to improve your skills by updating knowledge and proficiencies in new programs and systems. You must strive to keep up with technology as it evolves. Advancing your skills will help you stay ahead of the competition and the bad guys. Use your Network Administrator resume objective to tell the Hiring Manager, “Look no further. I have all the qualifications you need.” Trust us, there is no way the recruiter or Human Resources will overlook your resume objective. It is your formal introduction to the employer. In our sample resume of Network Administrator, Samuel immediately ran off his qualifications: Master’s degree in Information Technology and his certifications in Microsoft CISCO and Sun Microsystems. This will surely catch the attention of the recruiter especially if the hard skills are in line with what they are looking for. Experience is important to show the company you were able to apply theory to practical use but it doesn’t have to be very extensive. Five years experience should get you in the company’s good graces. Lastly, don’t forget your soft skills. These are the personality attributes that tell the employer how you approach your discipline and work. It lets them know if you are a potential fit to their organizational culture or not. The reverse chronological approach is best suited for your Network Administrator resume format because it shows the company how you were able to apply your competencies in your work experience. The Strengths section basically organizes the hard and soft skills identified in the resume objective. You get a better idea of Samuel’s qualifications but in work experience, you see how he applied these skills to tasks assigned by his previous employers. By placing Certifications right after Education, we give the person reviewing the resume a lasting reminder that Samuel has all the requisite qualifications they need to fill in the job post. Second, if you’ve done freelance work, apprentice jobs or volunteered in projects, include these in your work experience. Network administration is all about solving problems that could potentially cost the company a large sum of money and credibility. As a Network Administrator, potential employers want to see if you were able to apply theories to actual problems and found solutions. In this technology-driven world, setting up a solid IT network plays a big role in ensuring work efficiency and data protection. Companies are outsourcing work to third party service providers and want more assurances that there are no breaches in data transmission. This is a very important job and companies will only hire those who fit the bill. Of course the proof of the pie is in the eating. Having a well-written and well-structured resume will get the Hiring Manager to consider the pie for tasting. In our Network Administrator sample resume, we made sure the basic skills such as managing LAN and WAN networks, ensuring data security and protection and conducting performance audits are there because these are key areas of responsibility. From there, include other tasks that differentiate one experience from the other. Be as descriptive as possible and organize these responsibilities in bullet points for easier reading. If your experience is extensive and you might end up with more than 1 page, go for it! Your resume may be the only chance for you to state your claim for the job. Make it count. If this Network Administrator resume example wasn’t sufficient for you, you are free to review some other samples and templates from our site. Browse to some related resumes below and find your inspiration.